The year 2017 was exceptional for the European funds industry with net assets of UCITS and AIFs surpassing €15tn. 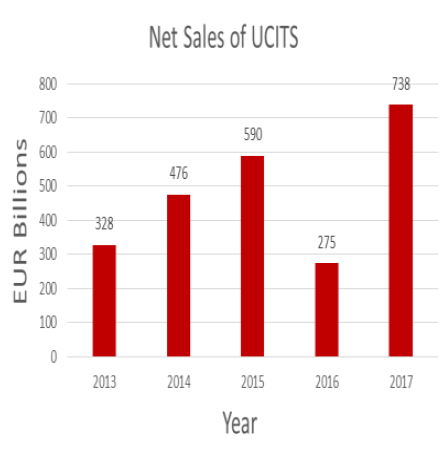 Net sales of UCITS amounted to €738bn which far exceeds the previous record breaking year of 2015. All categories of UCITS registered net inflows with bond funds the best performing category followed by multi-asset funds and then equity funds. 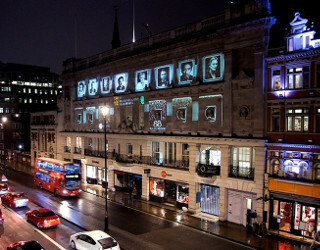 There are a number of reasons for the strong fund performance. These include an absence of market volatility, accommodative central bank policies and pent up demand from savers to get their money back to work. Eight countries registered UCITS net inflows greater than €10bn in 2017. 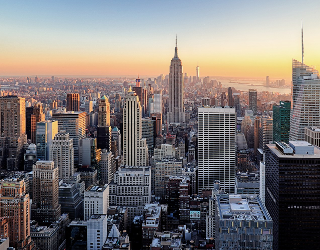 The domiciles with the largest inflows were Lux, Ireland, the UK, France and Germany. The net assets of European domiciled ETFs reached €613bn with Ireland continuing to be the leading domicile. The growth in popularity of passive ETFs has been consistent with a general industry trend of increased passive investing. It should be noted that 65% of equity fund net sales in 2017 were accounted for by passive index tracking funds. Spain is a relatively small fund domicile which accounts for 1.9% of European fund industry assets (UCITS and AIFs). The net assets of Spanish domiciled funds is just under €300bn. Spain is home to a number of large asset managers with 14 of the 500 largest asset managers in the 2016 Towers Watson worldwide list. 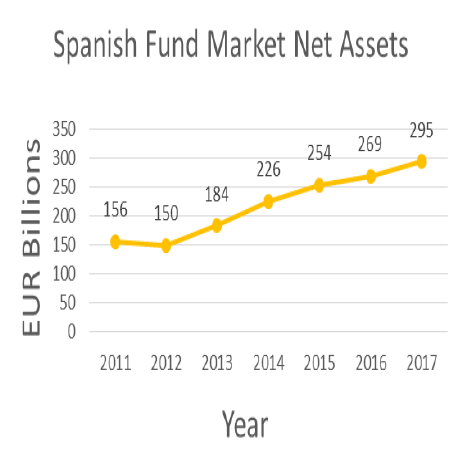 Net assets in Spanish domiciled funds is up 89% since 2011. The 5 largest retail banks dominate fund distribution in Spain. The distribution of cross-border funds into Spain is common with Spain being the second largest market after Italy in 2017 for net sales of cross border funds. 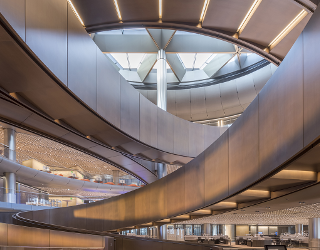 MiFID II changes relating to retrocession payments will potentially challenge the dominance of the big banks with the distribution of third party cross border funds. Spanish investors have traditionally been conservative but there has been an increase in demand for alternative products in recent years. There has also been increased demand for ETF products, including smart beta ETFs. Currently ETFs account for approximately 15% of foreign owned fund assets in Spain. 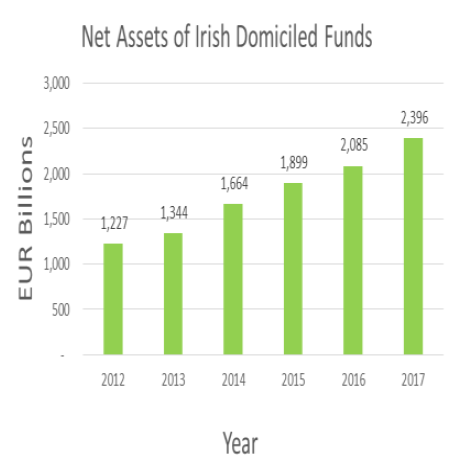 Irish domiciled fund assets increased by 15% to almost €2.4tn by the end of 2017. 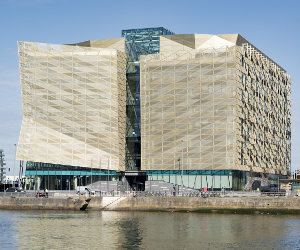 The growth for Irish domiciled UCITS and AIFs was 16% and 12% respectively. Loan origination funds are increasing in popularity and AIMA has estimated that by 2022 up to 20% of SME lending in Europe will come from alternative lending sources such as loan origination funds. In 2014, Ireland became the first EU jurisdiction to introduce a specific regulatory framework for loan origination funds (LQIAIFs). 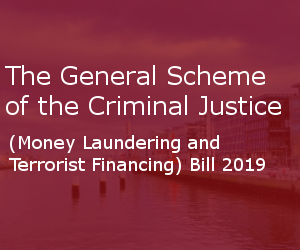 It is estimated that around 30 LQAIFS were authorised in 2017 by the CBI. 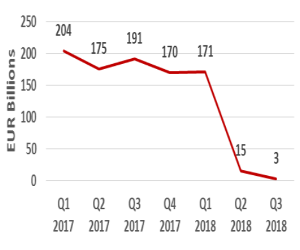 In early 2018, the CBI relaxed the investment restrictions that apply to LQIAIFs, this will further increase the attractiveness of Ireland as a domicile for this fund type. 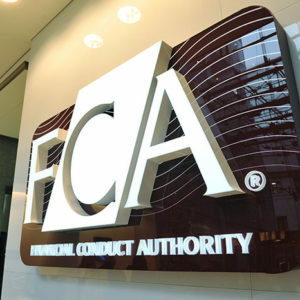 Sources: Irish Funds, Matheson, Dechert.